There is tremendous opportunity to increase the implementation of combined heat and power (CHP) systems in many Midwestern states. 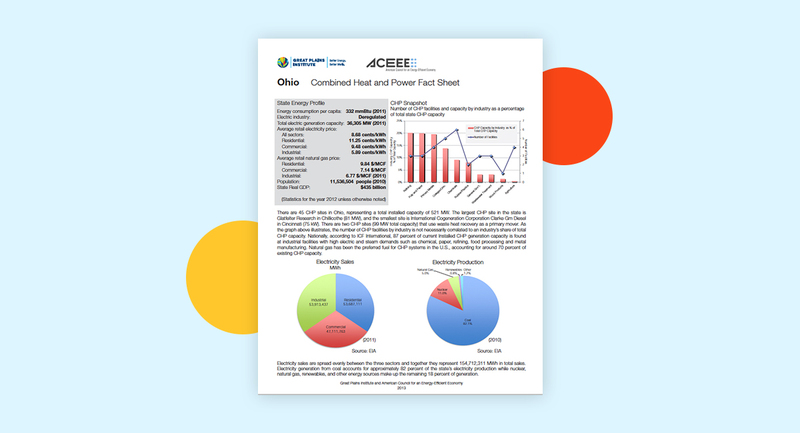 This fact sheet summarizes current and technical potential of CHP implementation in Ohio. The fact sheet also gives an overview of the current CHP policy environment and documents the number of industrial facilities that will be impacted by EPA air quality regulations. There is tremendous opportunity to increase the implementation of combined heat and power (CHP) systems in many Midwestern states. 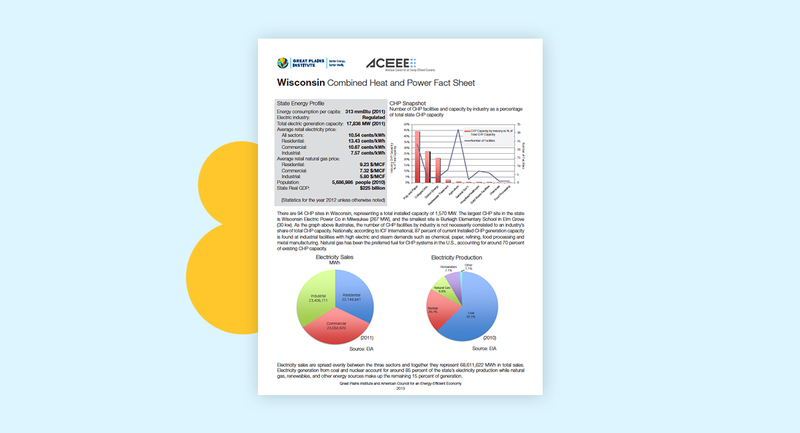 This fact sheet summarizes current and technical potential of CHP implementation in Wisconsin. The fact sheet also gives an overview of the current CHP policy environment and documents the number of industrial facilities that will be impacted by EPA air quality regulations. There is tremendous opportunity to increase the implementation of combined heat and power (CHP) systems in many Midwestern states. This fact sheet compares state level information accross Midwestern states. There is tremendous opportunity to increase the implementation of combined heat and power (CHP) systems in many Midwestern states. 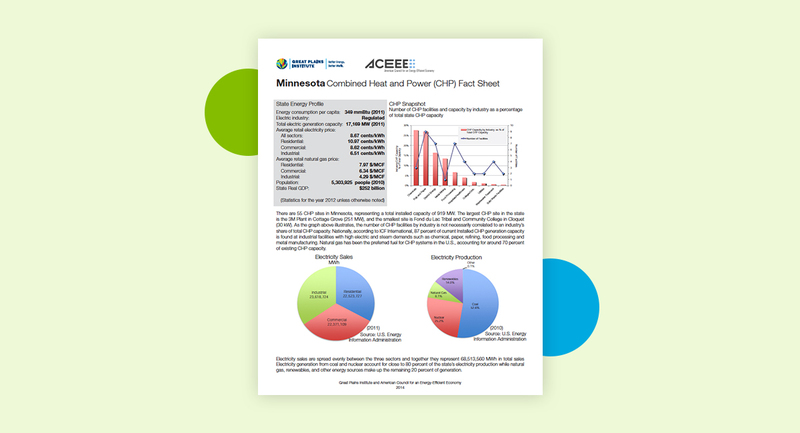 This fact sheet summarizes current and technical potential of CHP implementation in Minnesota. The fact sheet also gives an overview of the current CHP policy environment and documents the number of industrial facilities that will be impacted by EPA air quality regulations. There is tremendous opportunity to increase the implementation of combined heat and power (CHP) systems in many Midwestern states. 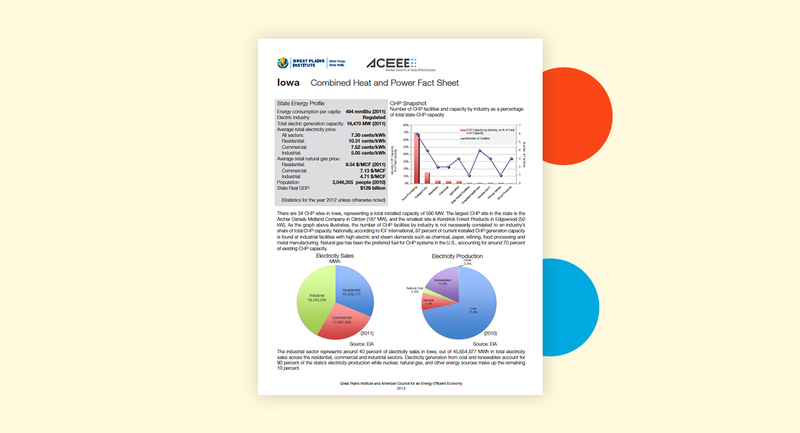 This fact sheet summarizes current and technical potential of CHP implementation in Iowa. The fact sheet also gives an overview of the current CHP policy environment and documents the number of industrial facilities that will be impacted by EPA air quality regulations. There is tremendous opportunity to increase the implementation of combined heat and power (CHP) systems in many Midwestern states. 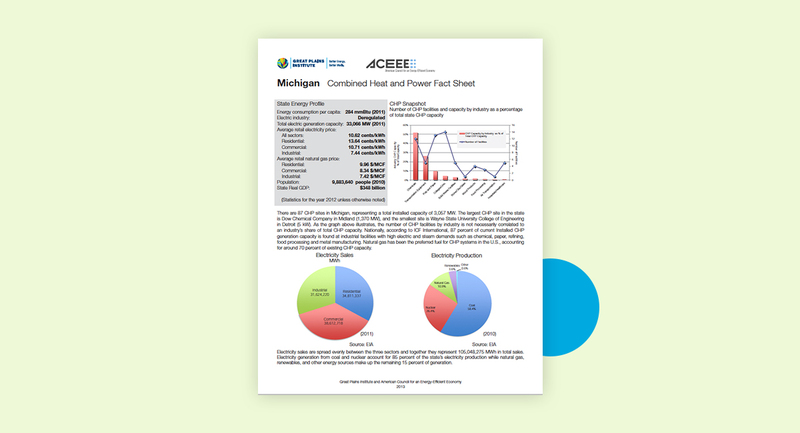 This fact sheet summarizes current and technical potential of CHP implementation in Michigan. The fact sheet also gives an overview of the current CHP policy environment and documents the number of industrial facilities that will be impacted by EPA air quality regulations. There is tremendous opportunity to increase the implementation of combined heat and power (CHP) systems in many Midwestern states. This fact sheet summarizes current and technical potential of CHP implementation in Indiana. The fact sheet also gives an overview of the current CHP policy environment and documents the number of industrial facilities that will be impacted by EPA air quality regulations. Buildings with an ENERGY STAR certification use 35 percent less energy on average than typical buildings, and cumulatively achieve over $2 billion in annual cost savings. Over 300,000 buildings across the country, representing over 40 percent of the commercial market, measure and track their energy use with ENERGY STAR Portfolio Manager—the tool that identifies potential eligibility for certification. 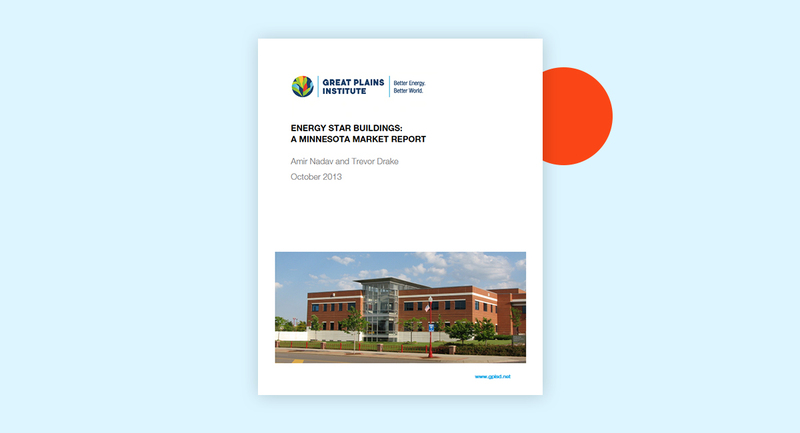 The purpose of this report is to characterize the market uptake of the ENERGY STAR certification for buildings in Minnesota, which has grown from three buildings in 1999 to 561 certified buildings as of September 15th, 2013. Collectively, certified buildings in Minnesota represent nearly 105 million square feet of floor space. Map of Energy Star Certified Buildings in Minnesota: The map below shows all certified buildings as of September 15th, 2013. Click on a building to see more information. 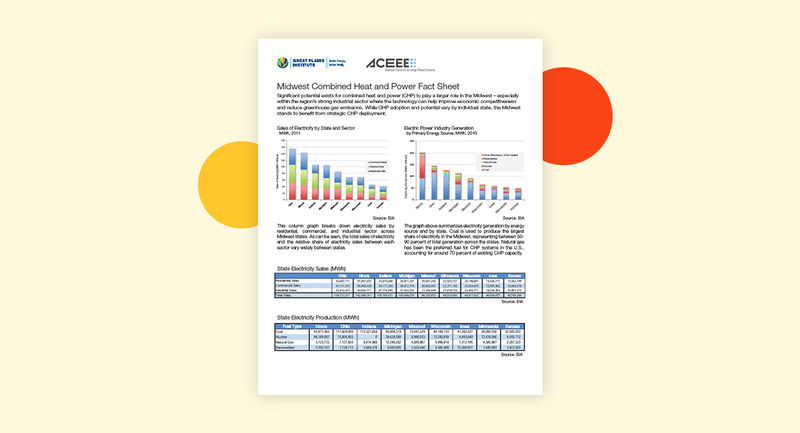 There is tremendous opportunity to increase the implementation of combined heat and power (CHP) systems in many Midwestern states. 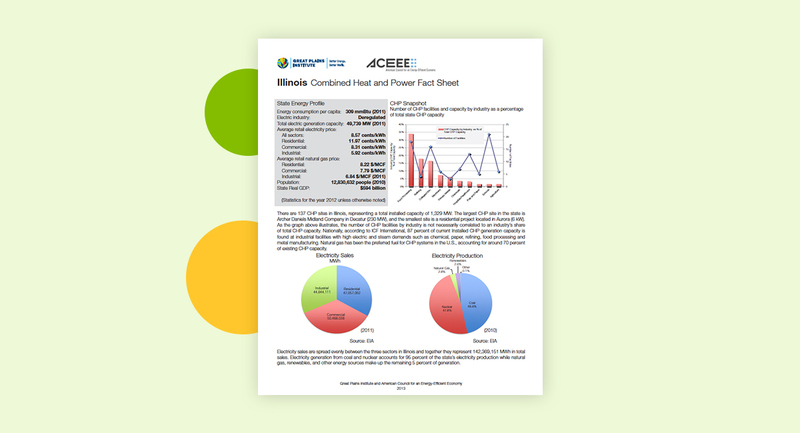 This fact sheet summarizes current and technical potential of CHP implementation in Illinois. The fact sheet also gives an overview of the current CHP policy environment and documents the number of industrial facilities that will be impacted by EPA air quality regulations. 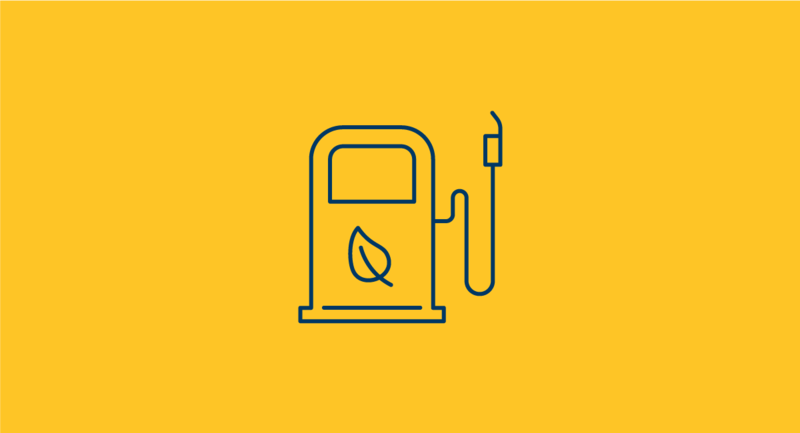 While many of you are familiar with the use of biogas as a means for powering or heating our homes and businesses, I believe that the use of biogas as a transportation fuel is the least well-known and understood application for this versatile and greenhouse gas reducing resource. For this reason, my previous columns have focused on the vast potential of biogas as fuel for our vehicles. If this potential is to be reached, however, a critical component of the plan needs to be addressed first: infrastructure.